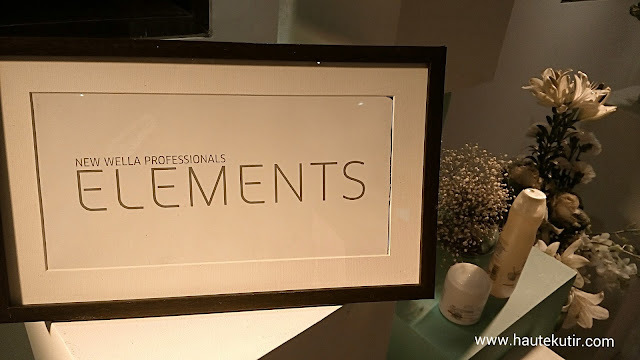 In one of the previous posts, we have blogged about the Mumbai Beauty Blogger's meet on New Elements Range by Wella Professional. We promised to come back with a personal review of the newly launched hair care products from one of the most loved brand across the world- Wella Professional. Inspired by nature to provide 10X more strength against hair breakage for renewed hair vitality. Keratin Focus: Keratine is a principal protein component which acts as the building blocks of the hair, keeping them healthy and shiny. The range aims to protect the integral Keratin structure of your hair. Innovative "nuTREE" complex- To replace Sulfates and Parabens, Wella Professional have developed "nuTREE" complex, an exclusive complex that is enriched with natural Tea Tree extract. Tea tree is a natural and powerful anti-oxidant which helps reduce the damage caused by free radicals. Natural Tea tree extract has anti-irritant properties that help to balance and calm the scalp. Panthenol- Wella Professional Elements also has- Panthenol, also known as-Pro Vitamin B5. It is another keratin friendly ingredient that penetrate deeply into hair to repair keratin and bind moisture levels. Hence keeping your hair strong, shiny and nourished from root to tip. [Brand]. 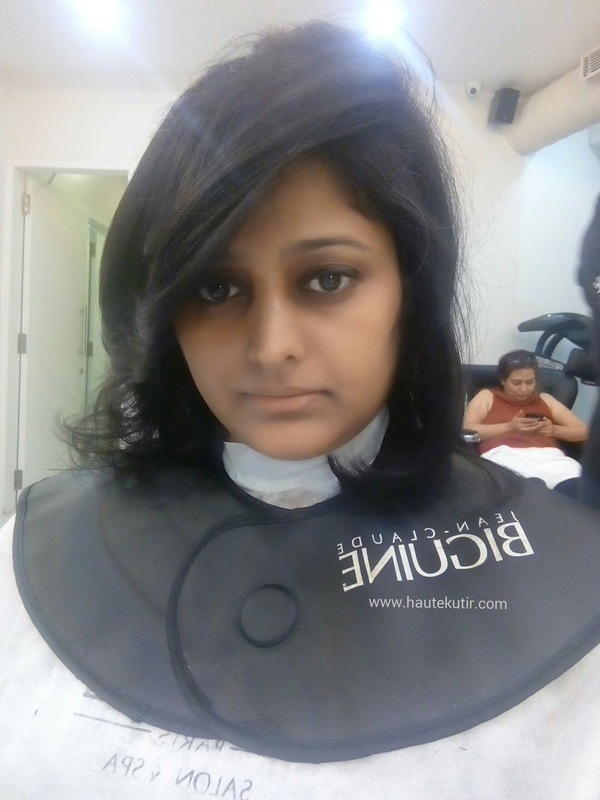 Haute Kutir Experience: My hair type is- sensitive and as I always mentioned - it makes me choosy about the "hair" products for self. 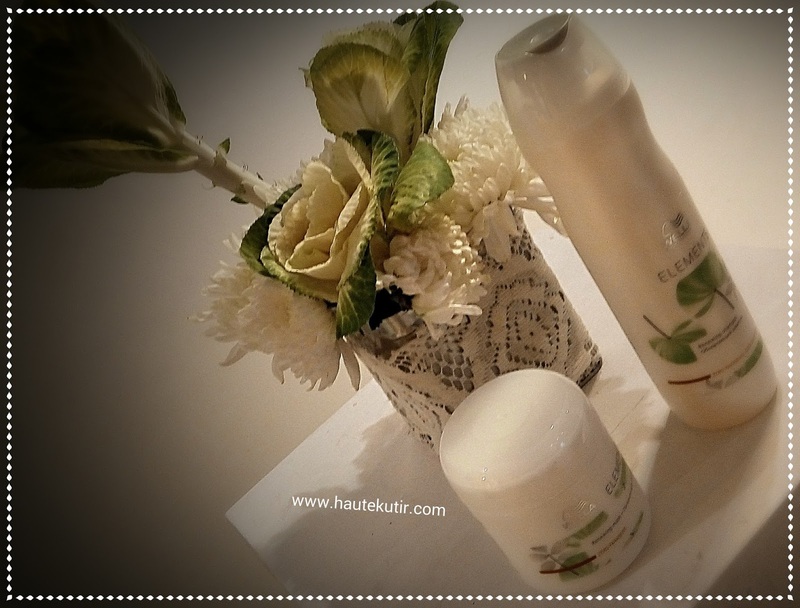 I am already using Wella Professional hair serum [hold level 1] and happy with it. 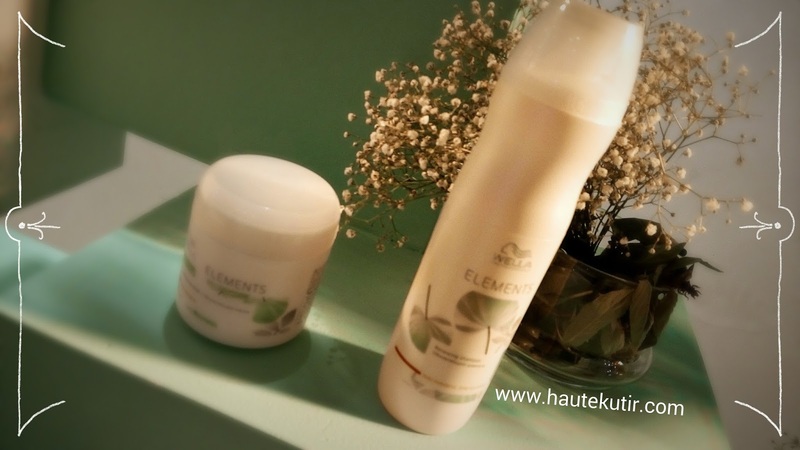 Given that the New Wella Professional Elements has natural ingredients and I am in need to change my shampoo, I was excited to try it. I have used this product only twice this far and out of that one was under the expert guidance of senior hairdresser Athinga at JCB [Jean Claude Biguine], who used the same products to wash my hair before my hair cut. I loved the mild minimal fragrance of the product and it does have calming, soothing impact on my scalp. Besides, it was effective on removing oil from my scalp, giving a fresh finish. My hair appeared somewhat soft post wash and I am positive to use it again. The impact stayed for 2-3 days during my Goa travel. To know more, check my social media updates on #HauteKutirInGoa [lots of pictures there]. Not just that, I had good dipping time in Doubletree swimming pool and surprisingly, the hair did not lost much sheen post shampooing as well. I am gonna repeat the usage. 1) The Shampoo smells heavenly and lathers well in spite of fact that it does not contain Paraben or Sulfate. 6) The components like Tea Tree and Panthenol is awe-inspiring. Packaging: the products comes in simple, easy to use and travel friendly plastic bottle with details of ingredients printed in the back. Stay tuned to more updates on my microblogging handles on twitter, instagram and facebook.